Wendy Williams will not be returning to her Emmy Award-winning talk show in the immediate future and has been hospitalized for medical issues pertaining to her Graves’ Disease. Williams’ family released a statement saying, Wendy Williams Hunter has shared that she fractured her shoulder and was healing from it. Recently, Williams has had medical complications caused by her Graves’ Disease. William’s physicians have recommended hospitalization and she will be there for an extended period of time. Despite not wanting to let her fans down and return to work, she needs to take an extended break from her show to focus on her physical and personal well-being. 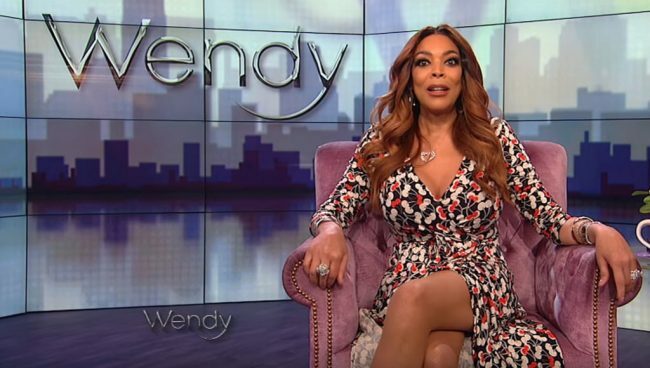 Producer and Distributor of “The Wendy Williams Show” Debmar-Mercury released a statement declared for over 10 years, Williams has been an important part of the Debmar-Mercury family. We support Wendy and will welcome her back when she is ready. The 54-year-old talk show host fractured her shoulder last month, and she was forced to cancel an episode of her show. Earlier in the month she reported that she needed an extra week to heal and her show was pushed back from Jan. 7, 2019 to Jan. 14. She worried her fans by her on-air antics slurring her words. She apologized and blamed her behavior on painkillers. A spokesperson for the show reported repeats would be aired the week of Jan. 21 and various hosts will take William’s place the week of Jan. 28. One Response to "Wendy Williams Hospitalized and Is on Extended Hiatus From Show"